How to Discover Your Passion and Purpose in Life? Follow This Simple Formula! Do you know what is your passion? What is your purpose in life? In this article, I will show you how to discover your passion and purpose in life by simply following the 3 step formula. What is your highest excitement at this moment? Excitement is an indication of your purpose. When you act on your excitement, you validate information from your true self. When you’re honest with yourself, you’re able to determine who you are and what is true for you. What is it that you intend? What do you wish to manifest? What is your definition of that what you want? Do you think you deserve it? Do you have a clear desire or is it mixed with doubt? If there is a doubt, ask yourself why it is there. Once you define what excites you, you must act upon it because action creates reality. According to quantum physics, consciousness is what creates your reality. There is no real outer reality. The only thing that is real is your experience of it. You have a free will, you’re the absolute determiner of what kind of experience will you have. We manifest everything that we believe in. So, discover and change your limiting beliefs and act on your excitement and your passion and you will move forward in wanted direction because excitement, joy, passion, love, and peace in the body is the bodies physical translation of the vibrational frequency that represents your true natural self. Anytime you act on your passion, you’re harmoniously aligned with your true natural vibration. And when you’re in that state, Universe will support anything that is in line with that natural true vibration. But when you act according to belief systems that are out of alignment with your natural self and thus feel the energy such as fear, guilt, shame, doubt, hate, judgment and so on, then the Universe can only support vibration you’re giving off, and if you’re giving off vibration of being out of alignment, it can only present to you opportunities that are out of alignment. No situation and no circumstance have a meaning, except the meaning you give it. The meaning you give, consciously or unconsciously, to any given neutral situation is exactly what determines the effect you will get out of any situation. Every situation is fundamentally neutral. It can create for you a positive or negative reflection. That is determined by what definition, energy vibration and belief system you assigned to that situation. No matter what anyone else’s intention in any given situation it might be toward you if you assigned only positive meaning to that situation, then you will only receive positive effect out of that situation no matter what anyone else experiences. How to Find Your Purpose? 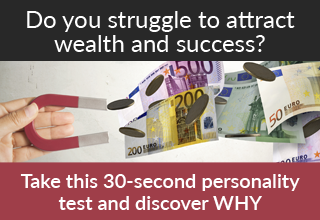 – Follow This Simple Formula! 1. Act on your highest excitement every moment that you possibly can to the best of your ability and with full integrity. 2. Take it as far as you can until you can take it no further. 3. Continue to do that every moment with absolutely ZERO insistence, assumption or expectation as to what the outcome of that action should be. According to Bashar (a multidimensional being that is channeled by spiritual medium Darryl Anka), this 3 step formula will guide you into the direction that works best for you. Act on your highest excitement every moment that you possibly can to the best of your ability and with full integrity. In every moment, from all the options that you have available and that you can act on, simply choose the most exciting one, in whatever form it comes, and take action on it to the best of your ability. Take the opportunity that represents your highest joy, or that you’re interested in, it doesn’t have to be the most profitable one. Don’t just blindly look at your goal, rather enjoy the journey. You want to be happy now because you create your future in the now. You create your future with your vibration, and excitement is the vibration of your true natural self. Take it as far as you can until you can take it no further. Then look around for the next most exciting option that you can act upon, whatever it is, even if it doesn’t seem connected to anything else, because excitement tells you that it is connected, and do it with integrity to the best of your ability. Once you start doing that, you will become more sensible to the idea of excitement. You’ll easily distinguish what does excite you and what doesn’t, and you won’t be concerned with so many things before you simply be willing to take the action on your excitement. When you start acting on your excitement to the best of your ability every moment, you will begin to experience that the exciting thing you’re doing contains all the things you need to consider. That what it doesn’t contain, you simply don’t need to consider. Simple things are usually connected to the bigger things that excite you and can actually get you there. Following the excitement is the shortest, fastest and straightest path. If clattering and other things that are not a part of excitement come up, don’t deny them. Recognize they are there for you and process them to find out more about who you are so you can continue to act more and more on your excitement every moment. The more you act on your excitement and trust the process, sooner it will prove itself to you, but you must take the first step. The more you demonstrate in your behavior and actions that you believe that what excites you the most is who you really are, the more the Universe will reflect back to you. It is simply pure physics – what you put out is what you get back. Continue to do that every moment with absolutely ZERO insistence, assumption or expectation as to what the outcome of that action should be. In other words, do it for the sake of excitement, not because of the expected outcome, and you will automatically guide yourself to the outcome that is best for you. When you start acting upon your excitement, don’t expect the things outside of you to change immediately. When you change your vibration, things outside of you often change, but if they don’t do so, don’t assume you’ve done something wrong. You might still see the same scenario, but what let you know that there’s difference is that you respond differently to it then you did before. That’s what let you know that your reality has changed because no matter what it looks like, you now only get a positive effect out of it. Hope you’ve understood this formula because it contains everything you need for discovering your passion and purpose in life. If you have any questions or comments, feel free to leave them below and I will be more then happy to help you out. If you’ve found value in this article and think it might help someone, please share it using social media buttons below this post. Next Post:What is The Secret to Happiness? Thanks for your comment. I’m glad you found this post to be useful. All the best! Hi Blanka, I really love your LOA posts. I too listen to Bashar and also Abraham Hicks which I feel is better for beginner’s as it is more simplistic. Bashar goes into more detail. I find the quickest way to stop the flow of incessant thought (which often has negativity in it for many) is to meditate every morning. This grounds you for the rest of the day and helps you to think positively. One question I have which I haven’t found the answer to (not one that satisfies me enough to stop thinking about it anyway) is this: The law of attraction brings to you the exact match of your vibration which I know does work the majority of the time, but sometimes I really have a good feeling and expectation of an outcome, be it good or bad, and to my shock the exact opposite happens, even though I know for sure I was not having any negativity about the given situation. I’m sure this happens to everybody at times, but why? Is it because (as Abraham Hicks says) that on this human plane, sometimes if you put some bad thoughts or karma into action then they have to be played out at some point for up to 3 months afterwards, even if you feel you have no negativity inside you, you already set a negative vibration out to the universe and it has to come back round? This may be an explanation for why, when you are 100% sure in your heart of an outcome, good or bad, sometimes the complete opposite happens. I guess as we are all on the human plane our vibration will always have blips in it as it is the nature of life. All we can do is just keep training our thoughts towards the positive, and eventually, over time it will change our lives. This is an excellent question! In my opinion, there are two possible answers to it. First, there are things that we think we want and there are things that we really want. When I don’t get what I want, I believe something better is on the way and if I keep my vibration high, often the outcome is better than my expectation. So, if you set your vibration high but don’t get what you want, just keep your vibration high and the Universe will bring you what is the best for you. A second part of the answer is related to limiting beliefs. Our beliefs create our reality. Sometimes you might think that you match the right frequency but your limiting belief that is sitting in your subconscious mind can sabotage your expected outcome. For example, you want a new car and you start to feel good about it, you match the frequency of that car but if you don’t believe that you are worthy and deserving of it, you won’t get it. I know that Abraham Hicks emphasize the importance of conscious mind and doesn’t give much importance to the subconscious mind, but the fact is that 95% of the time we operate on autopilot from our subconscious mind and that’s why I recommend changing those subconscious beliefs that sabotage us. And yes, I agree meditation is a great way to become more aware of our thoughts and beliefs that we could then change more easily. Hope this answers your question. All the best! Hi Blanka, thanks for your reply and sorry I only just got back to you about it but I have been so busy this week. Actually you have answered my question really well as I have never taken the subconscious mind thing into consideration before and it makes perfect sense. Yes, I have lots of limiting beliefs still going on, I can see that when I really think about it, but one thing I know is that they are getting less and less every day, especially with continued meditation and affirmations. It’s so hard to get yourself out of conditioned thinking patterns, and half the time you don’t even know you’re doing it as it’s automatic. Drives me nuts! Thank you for getting back, am glad you found my answer to be useful. We all have limiting beliefs, but the majority of people are not aware of that. You’re doing really well. You’re aware of your limiting beliefs and working towards their change. Meditation helps you to stay conscious and more conscious you are, the more you will recognize when you operate on autopilot. In order to change your beliefs faster, I suggest you add the following affirmation to your daily affirmations – “It’s easy for me to change my beliefs”, because your belief that “it’s so hard to get yourself out of conditioned thinking patterns” may slow you down. 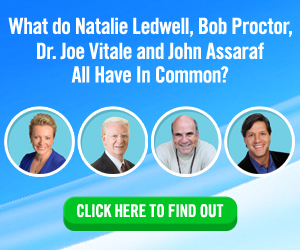 Also, I suggest you check out Bruce Lipton and Joe Dispenza as they scientifically explain how our beliefs shape our reality and dr. Joe Dispenza also teaches how to change our reality by using different types of meditation. Anyway, I wish you a lot of success and if you have any questions or concerns, I’m here to help. Cheers!